The Common Ills: Kat's Korner: Susanna Hoffs and Joss Stone, who can figure it out? Kat's Korner: Susanna Hoffs and Joss Stone, who can figure it out? Kat: I have bad news for music fans and bad news for Susanna Hoffs and Joss Stone: It just doesn't matter anymore. In July Susanna Hoffs released her third solo album. Someday is ten tracks of perfection from the opening "November Sun" to the final track "True." And if "Raining" and especially "Always Enough" weren't made for radio blasting, what was? Thumpty-thump, 181 bpm songs? Okay, put me down with Greg Jenko (Channing Tatum's 21 Jump Street character) and I'll blame Glee too. Not because Glee is necessarily responsible but because who can figure it out today? Other than bad dance music and ripping off Billy Idol, what sells these days? Susanna Hoffs has finally released the great solo album that Bangles fans and admirers of her work with Matthew Sweet have known she had in her and, a month later, it's still no big thing. Not on the radio, not in the media. And Someday is amazing. 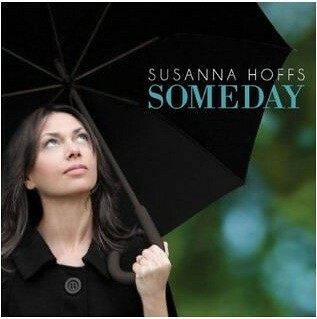 Someday is amazing as a Susanna Hoffs album but it's amazing album for any solo female. It's glistening, it's sensual, it's real, it's fairy tale. It is the ultimate album experience and American Songwriter has rightly noted it calls to mind the best work of Dusty Springfield. Of course, Dusty's classic Dusty in Memphis only sold as catalog -- meaning the album didn't hit in real time but sold a few copies that year, a few the next, a few the year after, and slowly, bit by bit, the people started hearing a classic album. Maybe that's Someday's fate? 20 or so years from now, it will be hailed as the classic it is? July also saw Joss Stone releasing a new album. 2011's LP1 was one of the year's finest albums and drove home that Joss was not some novelty act, destined to always be the kid on the oldies circuit, singing songs from decades ago. LP1 put the powerful singer firmly in today and let her explore and address the world around her. It remains a masterpiece. 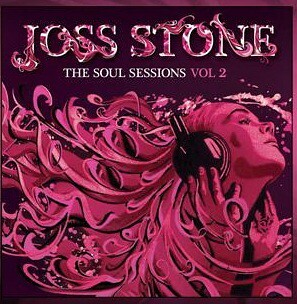 Now she's released The Soul Sessions Vol. 2 which probably seemed like an obvious move. 2003's The Soul Sessions had brought her worldwide fame and platinum certification in the US, the UK, Australia, Canada, Europe and elsewhere. By contrast, LP1 moved only 100,000 units in the US. After that album reached 36 and then slid off the charts, maybe Joss can take comfort in the fact that The Soul Sessions 2 has already made it to number six on the US charts? The album has nothing to say and lacks even a basic theme. But it's selling in ways that LP1 never did. It's derivative and a sequel in the worst sense of the term. It's coasting on the reputation of the first album. Out of the 15 songs, only one -- "While You're Out Looking For Sugar" -- finds Joss really adding anything. The rest of the time, her versions, though usually pure and listenable, call to mind the original recordings especially with Eddie Floyd's "I Don't Wanna Be With Nobody But You." Her cover of Sylvia's "Pillow Talk" is 100% imitation while her "One Love In My Lifetime" is a pale and embarrassing take on the song Diana Ross brought to life and took in to the top 40 in 1976. I really don't download Joss hoping to hear Rich Little but that's what she's offered more or less, 14 tracks of impersonations. I don't dispute Joss' talent, I was just hoping she was going to grow, not drop back a decade to give us more golden oldies. I can understand the thinking behind it: "The old stuff sold, the new stuff isn't gelling yet, let's do a sequel!" And maybe it will work and bring in a new audience. But I seem to recall Sylvester Stallone attempting that strategy with films and all it did was drive him out of the box office for nearly twenty years. While I can undestand Joss Stone's strategy, I can't understand why something as beautiful as Susanna Hoff's new album isn't being praised everywhere. When she and Matthew Sweet were on tour for Under The Covers 2, I was able to catch their Boston concert. The guys in the audience, of course, couldn't not remark on her appearance (consensus being she was hotter today than she was when the Bangles were walking like an Egyptian) but they also had high marks for that incredible voice. Susanna has really learned how to shade vocally over the years. And when we all flew to our feet at the end of the concert, stomping and clapping, no one was thinking about her exterior beauty. But maybe for those who haven't heard her since the 80s, that's all they can focus on? Maybe there's jealousy there? I have no idea. I've said I can't figure it out. Someday is a summer surprise, a gift of music and yet most people aren't aware it even exists. It really doesn't matter anymore if you're releasing a great album or a piece of crap. Susanna has a great one and no one wants to get behind it. Joss is seeing brisk sales of the worst album she's ever recorded. If you can figure it out, let me know. Isaiah's The World Today Just Nuts "The Economy"